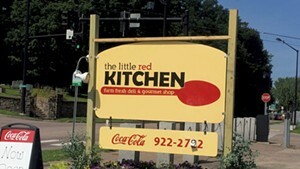 When I stopped by the Little Red Kitchen — located at the intersection of Riverside Avenue and Intervale Road — on a Friday morning between breakfast and lunchtime, I landed in a lengthy conversation with owner Cheryl Strenio. Our talk ran the gamut of business, family and her much-sought-after Parmesan dip. Strenio, who grew up in a family with 14 kids, is fun and no-nonsense. Her menu is, too. 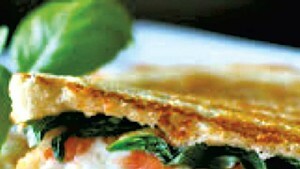 It includes breakfast panini and lunch sandwiches, soups and salads, the bulk of which cost between $7 and $8. 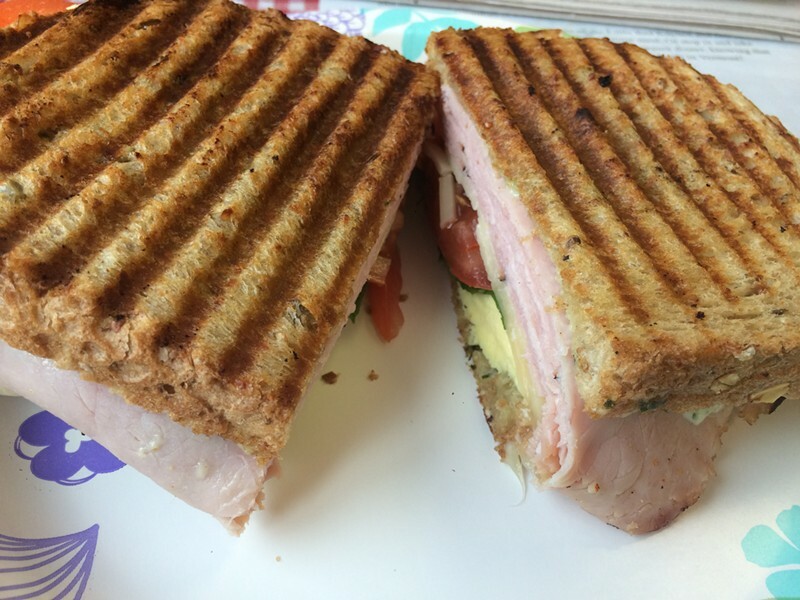 Most of the offerings are classics: a Reuben, a Cuban, a turkey club. 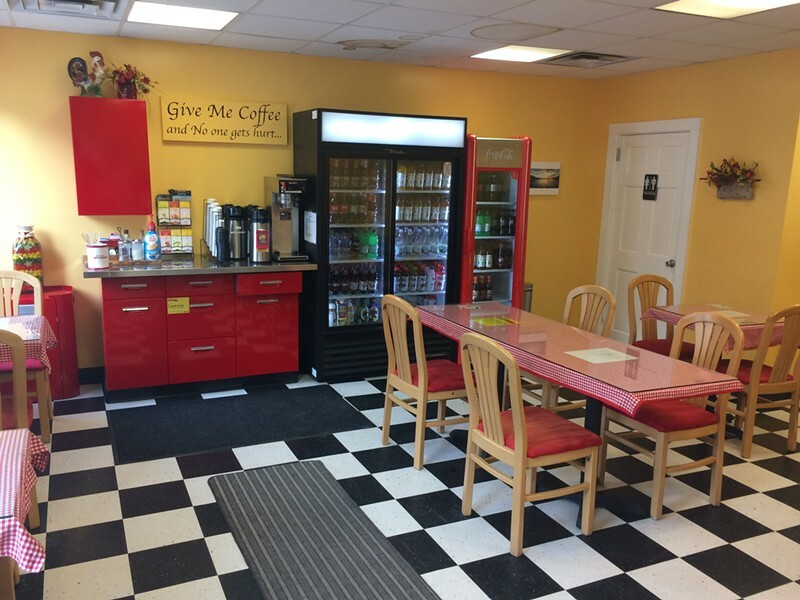 Grab 'n' go offerings include homey staples such as lasagna, chicken pot pie, cheeseburger soup and lots of variations on mac and cheese. BBQ-pulled-pork mac? Yep. Buffalo mac? That, too. I opted for a ham, egg and cheese panino ($7.25) with garlic-basil mayo, and the hefty sandwich turned out to be big enough for two meals. It was melty, hot off the press, and contained a sizable pile of meat. Only one other person was in the dining room while I was there — a trucker who was pleased that he was able to park his semi nearby. But Strenio said that, during rush hour, the place is jamming, especially in the summer. Nevertheless, in March, she's planning a little break from the deli biz in order to promote her Parmesan dip. The condiment is already in area stores and demand is high, she said. Strenio just shipped a case to Hawaii. Whenever she offers samples of the stuff at City Market, it sells out. She has high hopes that the creamy, cheesy stuff will be a big seller. Strenio pulled out a pint container and invited me to try some, smeared on pretzel crackers. It was salty and delicious. I could see why she's proud of it. Looking at a selection of takeout salads in the deli case, I asked about the dressings and learned that the Caesar, poppy seed and ranch were not made from scratch. Strenio does have a Bourbon-maple variation that she concocts to order, as well as a vinaigrette, but the others come bottled. Swing by for an affordable and filling sandwich, a slice of apple cake ($2.50), and good conversation with Strenio if time permits.